The origins, history and authorship of Beowulf are shrouded in uncertainty. This heroic epic probably began, as most do, with a wandering troubadour strumming a stringed instrument, sitting before a hearth-fire, and singing the verses to a spellbound audience arrayed before him. Beowulf is a rousing adventure story, filled with intrepid heroes, monsters and fire-breathing dragons, which can be listened to for the sheer enjoyment of the tale. I got this audiobook for free with an honest review and since I've always wanted to read Beowulf I was looking forward to it. I'm not sure of anything to say specifically about the translation itself although I enjoyed the forward and explanations, and the text was seamless enough for my tastes. Having never read Beowulf elsewhere however I have nothing to compare it to. One thing I would say is that I think this was one story better read than listened to. I love audiobooks and typically follow and comprehend them very well. Additionally the reader for this audiobook did a superb job and I think his voice was the perfect fit for the classic tale. However, I did have trouble following it. I feel like I got the gist, but my overall comprehension and retention were not what I would like. I think I will definitely need to give it another listen or two, or pick up a text copy so I can really dwell on lines instead of having them pass me by. 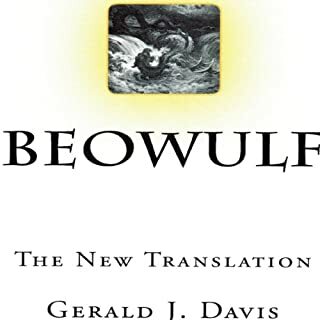 Overall if you're looking for a copy of Beowulf I have no scruples about recommending this one, or the reader, as both the translator and reader did an excellent job. Just be prepared for subject material that might take a little more concentration than other stories. Joel Berger's charmed life is fast slipping away. Determined to father a child before he dies, Joel makes one desperate appeal to the women of his dinner group for help. Soon he is surrounded by a colorful cast of female characters, including his iron-willed yet oddly endearing mother, Sylvia. 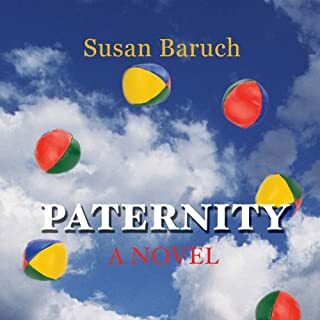 You'll laugh and cry along with the Bergers as the story of their patchwork family unfolds, taking some deliciously unexpected turns along the way. Karen has an excellent, steady reading voice and pulls off different accents and tones quite nicely. You could tell the difference between the characters quite easily by the voice she used. The two Jewish parents were a little hard to tell apart as the accent was the same but the voice was otherwise not too much different. However otherwise I thought the reading was flawless. The story itself I found a bit disappointing. It was an interesting premise for a story but I didn't feel like the characters were all that relate-able, and despite dramatic moments that didn't really go anywhere it was a bit dull and kind of plot-less. Ultimately great work by Karen Krause, and I hope to hear more from her, hopefully with a story more deserving of her talents. It didn't seem all that conclusive. I found myself wondering what the overall point to the story was at the end. It seemed to be just kind of quickly and randomly wrapped up. Which character – as performed by Karen Krause – was your favorite? I really enjoyed the grandmother Silvia I think and the Jewish accent was beautiful. However I also really enjoyed the voice of Celeste which was a bit cautious and reserved and reflected the character perfectly.